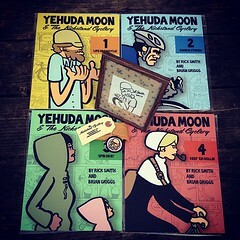 I received my Yehuda Moon & The Kickstand Cyclery comic books in the mail today. 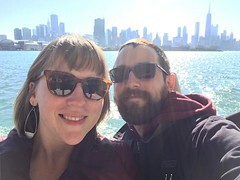 They had great success with the Kickstarter Campaign that raised money to get volumes 3, 4, and 5 printed, as well as help Rick and Brian bring the comic back from a long hiatus. Rick Smith and Brian Griggs have been working hard to keep the comic going. Right now they offer the comic as a $1 a month paid membership, with the occasional free comic for the public. Like I said, I received volume 3, 4, and 5 along with the patch today in the mail (a great addition to my collection). I bought volume 1 a while back. 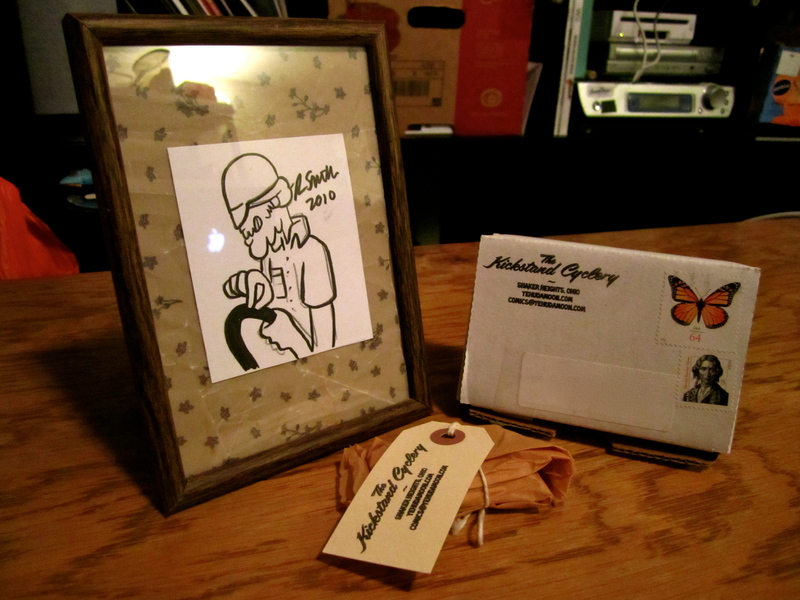 I also got the burnt piece of the Kickstand Cyclery (yes, a burnt piece of a fictional building) along with a signed drawing of Yehuda from a previous offering by Rick. I’m not a big comic geek, but I really like these comics. 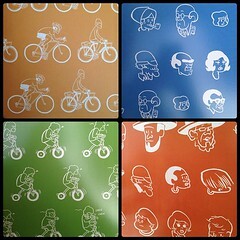 Obviously because they are bike related, and I really like the style and storyline of the comic. Even if you are an occasional bicyclist or don’t ride bikes at all they are still great comics and great stories. 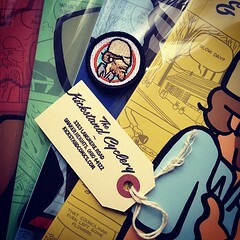 You can still buy all 4 volumes and some other merchandise in the Kickstand Cyclery Shop. 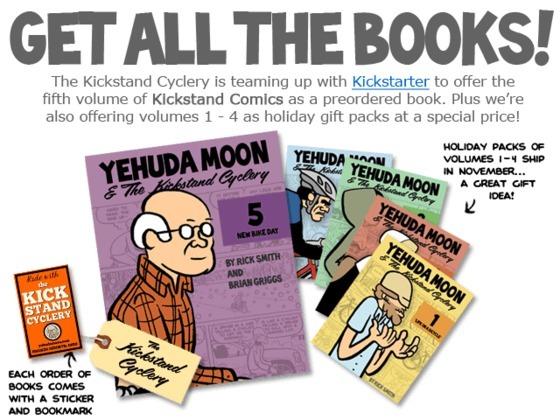 Bottom Right: Drawing of Yehuda that came with burnt piece of the Kickstand, and the all books signed, newest 3 have drawings.